It is always interesting to look back and see which blog posts were read the most during the year. 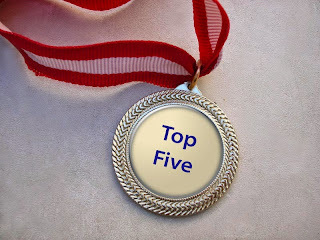 Here are my top five from 2014. This year's most-read post was Things My Husband Said, a short but sweet collection of some of Hubby's most smile-inducing comments. Some thoughts on Privacy and Secrecy got a lot of attention. This is a pervasive issue in the age of online living, as couples debate how much information they should be sharing. If popular but dubious statistics have made you worry about Your Chances of Getting Divorced, relax. Here's why those numbers do not apply to you. A Frank Talk About Sexual Rejection seems to have pushed some buttons. Nearly every marriage will be affected by snoring at some point. Thirteen Ways to Keep Snoring From Ruining Your Relationship outlines some of the things couples can do before sleep deprivation drives them apart. Honorable mentions go to Don't Tell Me To Calm Down, a look at one way arguments suddenly escalate, and to the burning question, How Can We Ever Agree on Anything? My all-time most read post is Words of Wisdom, a collection of inspiring quotes from relationship experts.